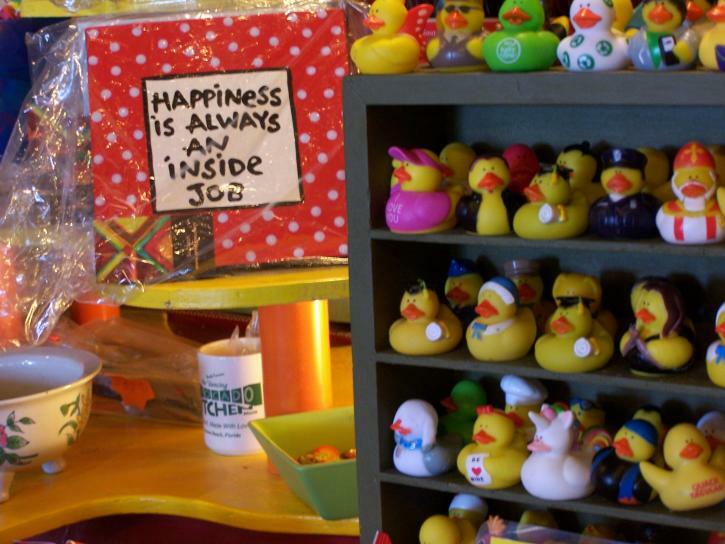 ...some of the luckiest ducks we know of live at one of our favorites, the Dancing Avocado Kitchen (above,) “where herbivore and carnivore eat together in harmony.” It’s my Beach Street go-to for creative quirk.The food is thoughtfully prepared, the atmosphere is engaging and the gift shop corner (with a bazillion rubber duckies) is a bonus for travelers wanting to bring a little tchotchke home. 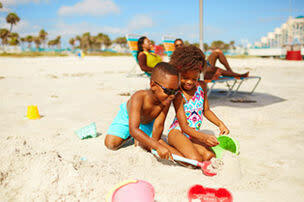 Planning to stroll the Riverfront Shops of Daytona Beach? This is where you&apos;ll find other Beach Street faves. Talk about fast food! The Taste of the 24 is zooming right around the corner. 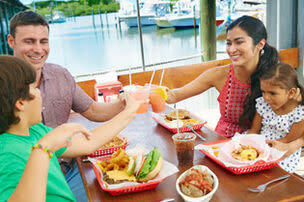 Take a look at what else Daytona Beach visitors get to &apos;nom&apos; on. 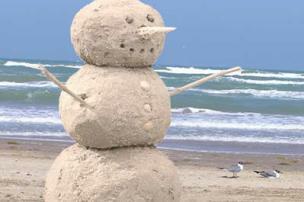 Riptides Raw Bar and Grill is the place to go for a "Beach Break." 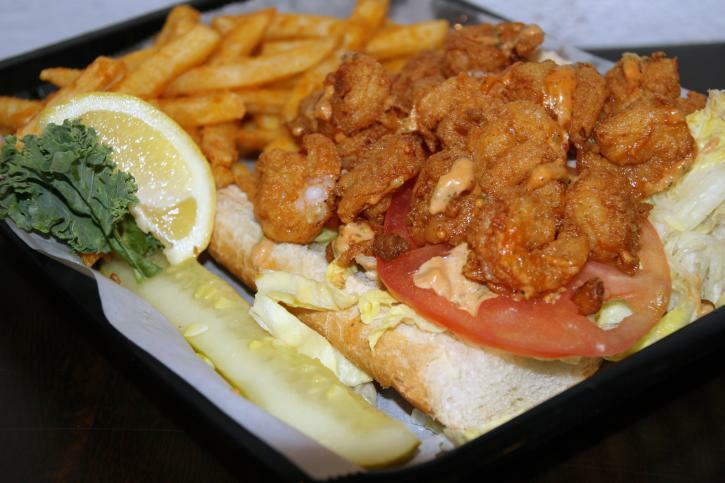 Just steps from the shore, it&apos;s imbibed in surfer decor and boasts more choices for Po&apos; Boys (pictured above) than you can shake a tambourine at. Live music nightly, dazzling tropical drinks you would expect, Riptides is known for all-you-can-eat crab, all day every day. Too hungry and can&apos;t decide? Sloppy Joe&apos;s has a solution! 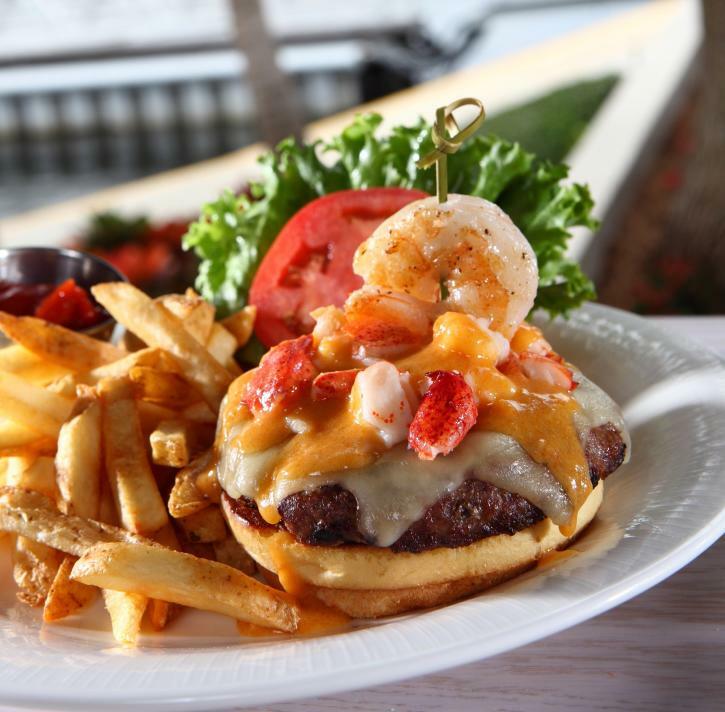 The delectable Surf and Turf Burger, pictured above. Great location along the Daytona Beach Boardwalk and tucked in among Ocean Walk Shoppes, Sloppy Joe&apos;s is a sure thing for being in the middle of all the fun and shopping. Looking for just a burger to bite into? Let us zero in on those options for you. Planning to climb Florida&apos;s tallest lighthouse while here? 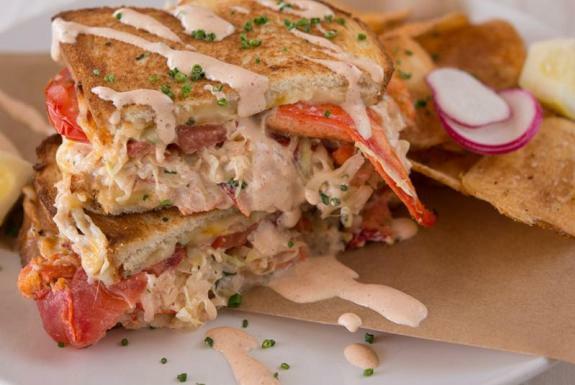 Check out these great eats, some in the shadow of the Ponce de Leon Inlet Lighthouse. 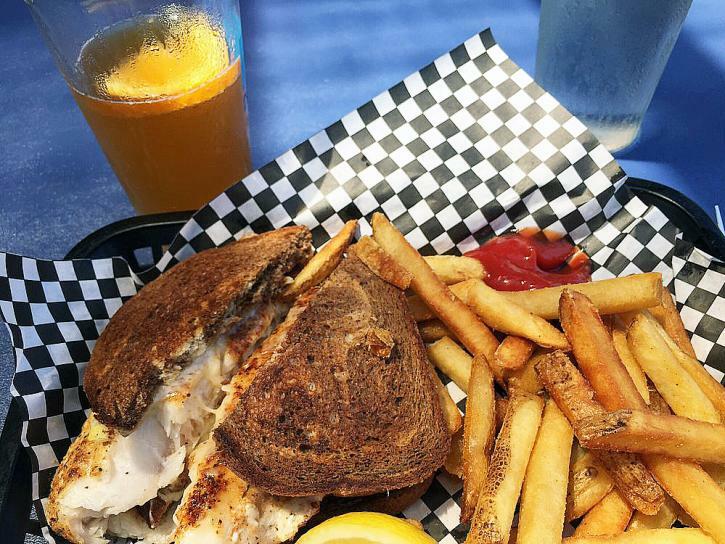 Lagerheads Bar and Grill is a sweet spot that serves up beach-side entertainment while dishing out their fantastic Grouper Reubens (pictured above) and peel-and-eat shrimp are the best – and it’s pet-friendly, too, with an outside deck that permits your pup to accompany you. I just ate at the newly expanded Riverview Grille on the Tomoka, a beautiful spot dripping in river history memorabilia. 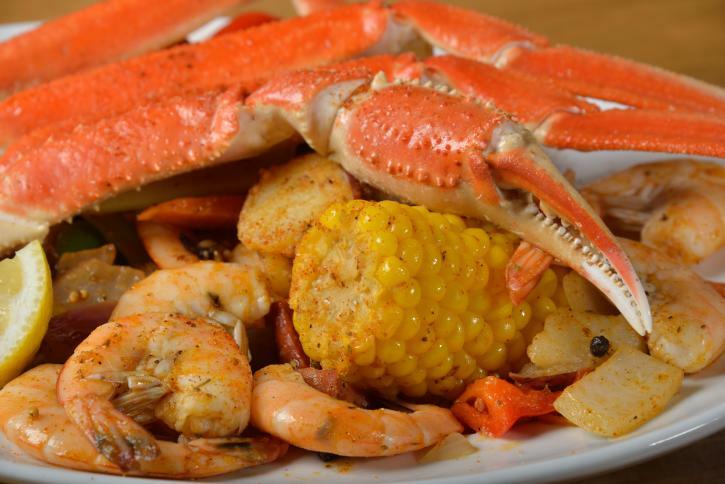 Seafood boils are big around here and Riverview&apos;s version, the Seminole Seafood Boil, pictured above, is just right. Couldn&apos;t resist the Old Mr. Marley Calamari, tossed in a lemony ginger-soy butter with marinated peppers, served in a portion size that I didn&apos;t mind sharing. The sriracha aioli was over the top! Now, you can kick back there even more with the newly opened Three Toed Pete&apos;s Watering Hole. 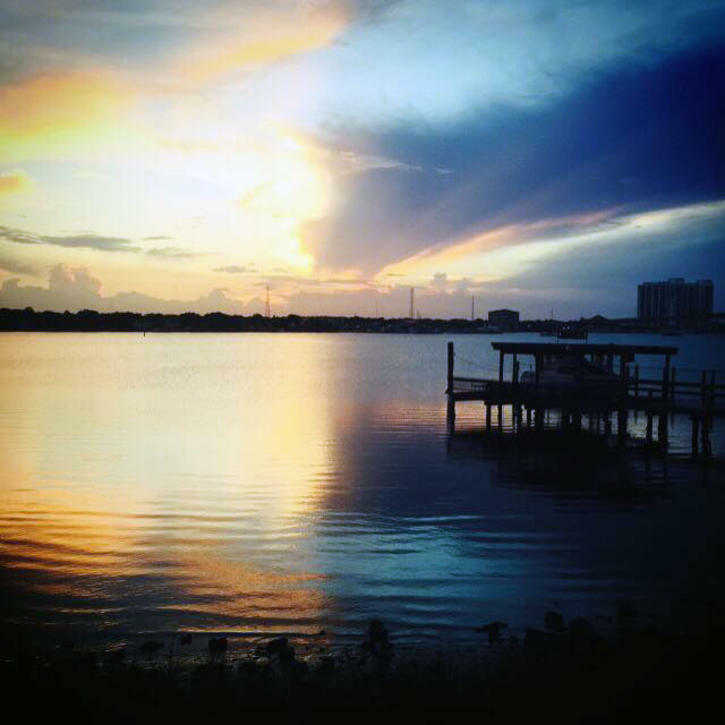 If beaching it in Ormond by the Sea or Ormond Beach, find these yummy options nearby. The mainland more your thing? 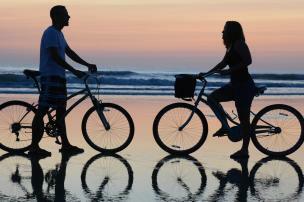 Search DineAroundDaytonaBeach.com by proximity to your activity, like golfing or inland fishing. If you&apos;re embarking on an adventure at Daytona International Speedway, select International Speedway Boulevard to find out what&apos;s in the vicinity. Let&apos;s end with a toast at ​Sunsetters! This riverfront spot is a favorite place to sit and watch the world go by, whether its boats on the Halifax River or motorcycles on Main Street. 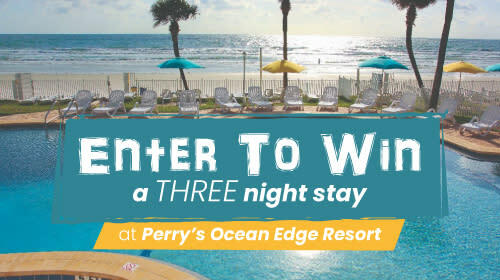 Well-rounded menu and a fun, Key West-style sunset countdown and toast every night. 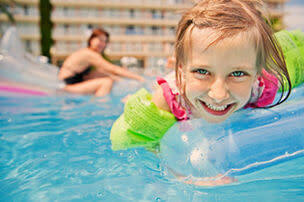 Discover how “Simply Delicious” Daytona Beach is in this video!